You have a few hours, or maybe even a full day, and you're craving an escape from the city for some trail time. With more than 50 state parks and recreational areas around the Bay Area, there’s no reason why you shouldn’t be able to reach a trailhead within an hour of making your decision. Problem is, the options can easily become overwhelming, with towering redwoods, waterfalls, coastal overlooks, beach access, and challenging peaks to choose from. We’ve all been there: Long after you planned on hitting the road, you find yourself on your device still reading trail reviews, precious hours of sunshine dwindling as you try to decide on the perfect hike. Here, we’ve done the legwork for you—7 of the best day hikes in San Francisco, from Marin to the East Bay to and farther south in the Peninsula—all within about an hour's drive of the city. On the western slopes of Mount Tamalpais State Park , the Matt Davis Trail winds through a mossy forest of live oaks and redwoods, revealing sweeping views of rolling hillsides and beyond. Descending from the Pantoll Ranger Station, the trail joins the Dipsea Trail near Stinson Beach, which you can follow to the Steep Ravine Trail for a stunning loop. As it climbs back to Pantoll, the Steep Ravine Trail follows Redwood Creek as it tumbles down the hillside toward the coast, and you will appreciate the soft shade of the redwoods as you climb almost 1,500 feet back to the trailhead. The loop totals about 7.5 miles, making it a great half- or full-day option. The 45-minute drive is also a highlight—the views from the city can rival those from the trail in some places, though traffic can back up on sunny weekends. 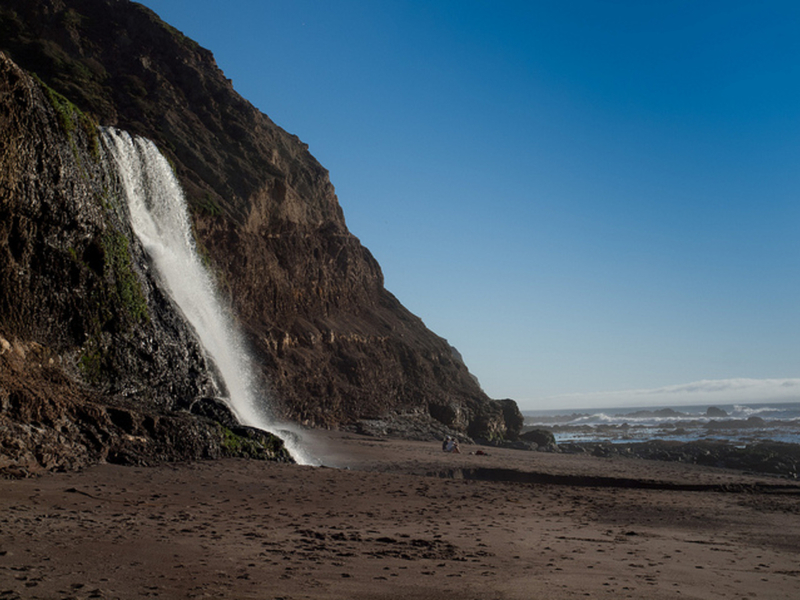 One of only two “tide falls” in the state, Alamere Falls tumbles 40 feet from from the beach bluffs directly onto the sand before immediately joining the Pacific. From the Palomarin Trailhead, hike the winding Coast Trail for four miles, passing by scenic Bass Lake. When you reach the cutoff for the falls, the trail becomes steep, descending alongside the upper falls over loose rock and dirt. The Park Service recommends continuing along the Coast Trail until you reach Wildcat Campground, and walking along the beach to approach the Falls, avoiding the crowded and eroded descent, though most people take the direct route. While the view from above the falls is beautiful, the view of the lower falls from the beach is what makes this 8.4 mile hike so popular—you can dip your toes in the ocean while the falls tumble behind you. A favorite among locals and visitors alike, the Alamere Falls hike can be overwhelmingly crowded on weekends, so visit midweek or during the early morning if you can. The Coast Trailhead at Palomarin is about one hour from Golden Gate Bridge, just past the sleepy town of Bolinas. 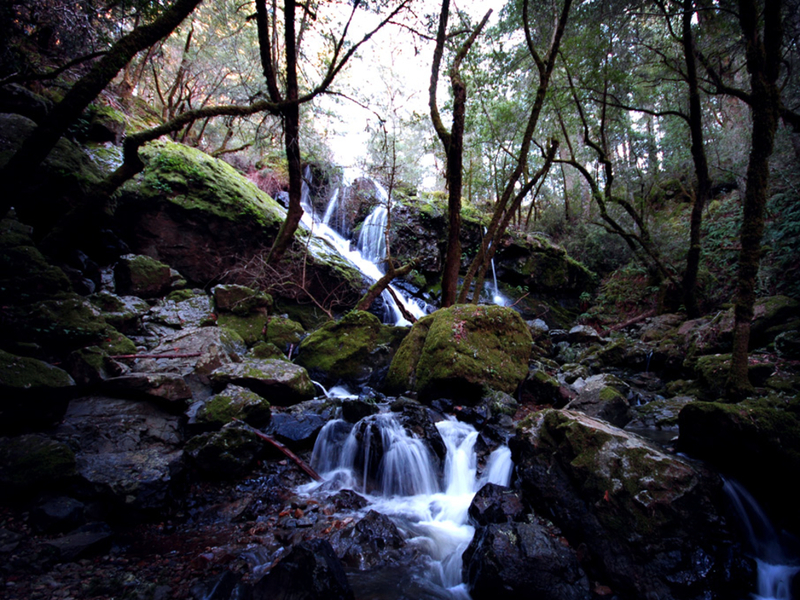 Cataract Falls is even more scenic after a rainfall. Missy S.
For another scenic waterfall hike, hike the Cataract Trail from Alpine Lake as it climbs steeply up the north shoulder of Mt. Tamalpais. As it ascends through a primeval forest of redwoods, mossy oak trees, and lush ferns, the Cataract Trail passes several falls of varying heights. Hike the Cataract Falls Trail as it climbs towards Laurel Dell and the main section of Mt. Tamalpais State Park in a couple of hours, or extend your hike by connecting the trail with the warren of other trail options on Mt. Tam. The trailhead—just across Alpine Lake Dam—is ab an hour from San Francisco. Rising 3,849 feet above San Francisco Bay, Mt. 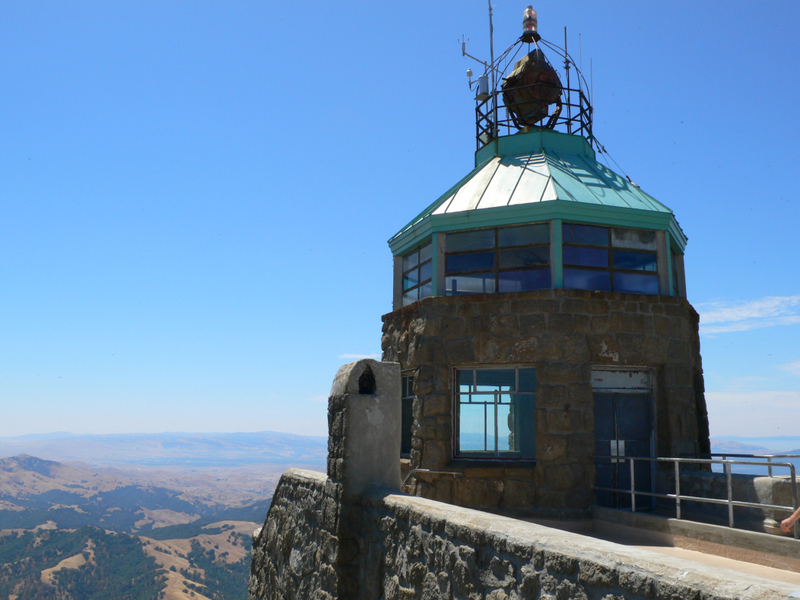 Diablo ’s summit beckons hikers seeking views that span from San Francisco Bay to the Sierra. From the summit, the view encompasses more square miles than any other vantage in the country. On a clear day, you can see the Delta, as far north as Lassen Peak, the Santa Cruz Mountains and Mt. Tamalpais in the west, and the peaks of Yosemite in the east—all before you begin hiking. Starting from the summit, follow a series of fire roads and trails as you wind your way along the slopes of Mt. Diablo, climbing about 2,500 feet over 7.8 miles through open fields dotted with wildflowers and woodsy groves. The entrance to Mt. Diablo State Park is under an hour from San Francisco, though it will add a few minutes to drive to the summit. Containing the oldest stands of redwoods in the East Bay, Redwood Regional Park offers hikers sweeping views of the Oakland Hills and the delicate forest canopy. To complete a loop around the valley, follow the trails that trace the ridge lines for views over the redwoods and beyond. Begin on the West Ridge Trail—a wide fire road in most places—and catch views of San Francisco Bay and Mount Diablo. After following a short spur to climb Redwood Peak, continue along the West Ridge Trail until crossing the creek and joining the East Ridge Trail on the other side of the Valley to complete the loop. The standard loop clocks in at 8.4 miles, though it’s well worth taking your time to meander side trails through the redwoods or along the creek. Without traffic, you can reach the park’s gates in under 40 minutes from the city. 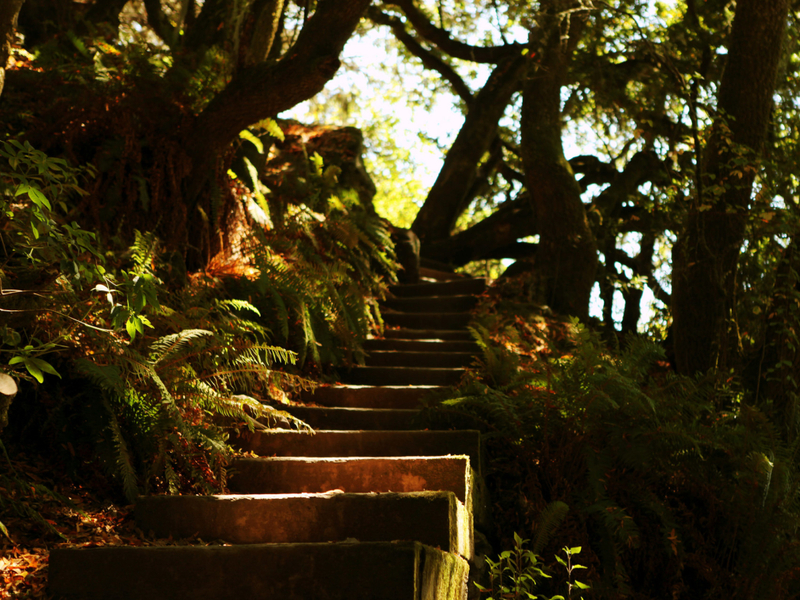 While you won’t find strenuous hiking on Angel Island , the journey to the trail is as much of a highlight as the destination. For a classic weekend adventure, catch the Tiburon Ferry to Angel Island and spend the day exploring the trails of San Francisco Bay’s largest island. 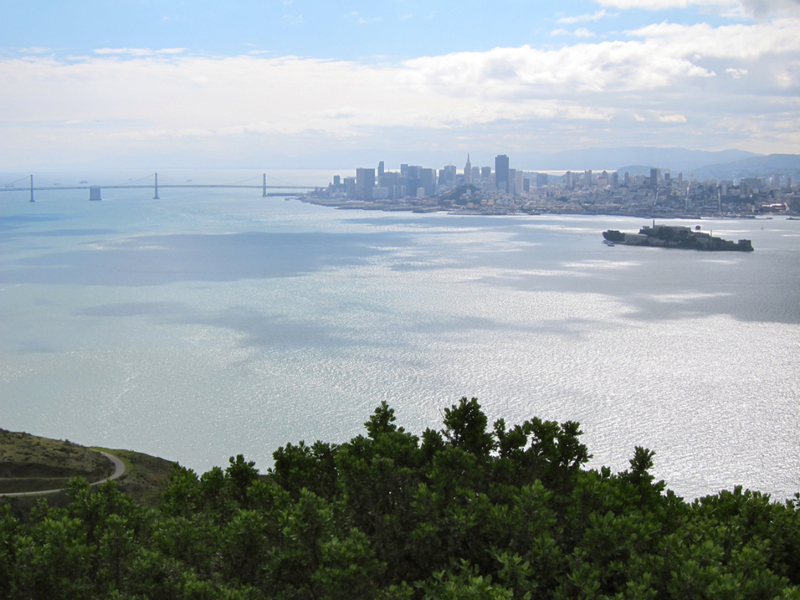 Expect panoramic views of the Bay, the city skyline, Golden Gate Bridge, and the East Bay from from the Island’s slopes. Hike to the summit of 788-foot Mt. Livermore for standout views, and connect with the Sunset Trail and the North Ridge Trail for a 5.9-mile loop of the Island’s best scenery. Access Angel Island by taking a 15-minute ferry ride across the Bay from Tiburon. Towering over south San Francisco and the Peninsula, the ridge line of San Bruno Mountain marks the northern extent of the Santa Cruz Mountains. Starting from the south parking lot, climb the Dairy Ravine or Eucalyptus Trails to attain the crest of the ridge. Once you reach the ridge, expect stunning, near 360-degree views over the city, the Bay, and beyond. As you follow the trail as it traverses east along the narrow ridge, your view of the Bay expands as the land falls away, giving you an almost bird’s-eye view of the landscape. Out-and-back along the wide open Ridge Trail is about 7 miles, with the only significant climb at the beginning through chaparral and eucalyptus. 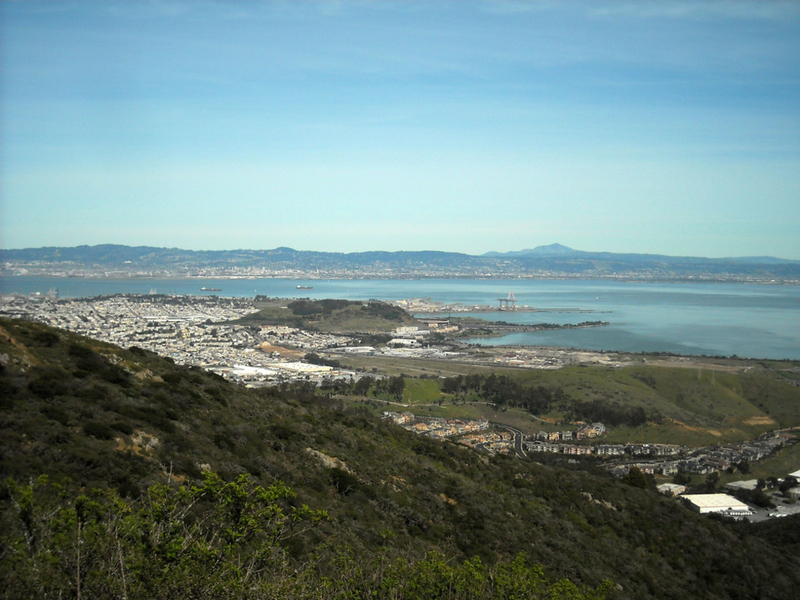 Located east of Daly City, it’s only about a 30-minute drive to San Bruno Mountain State Park.